The yogurty game Toppers involves choosing a base yogurt card, picking a sauce card and then throwing the dice to see which two other toppings go in your bowl. 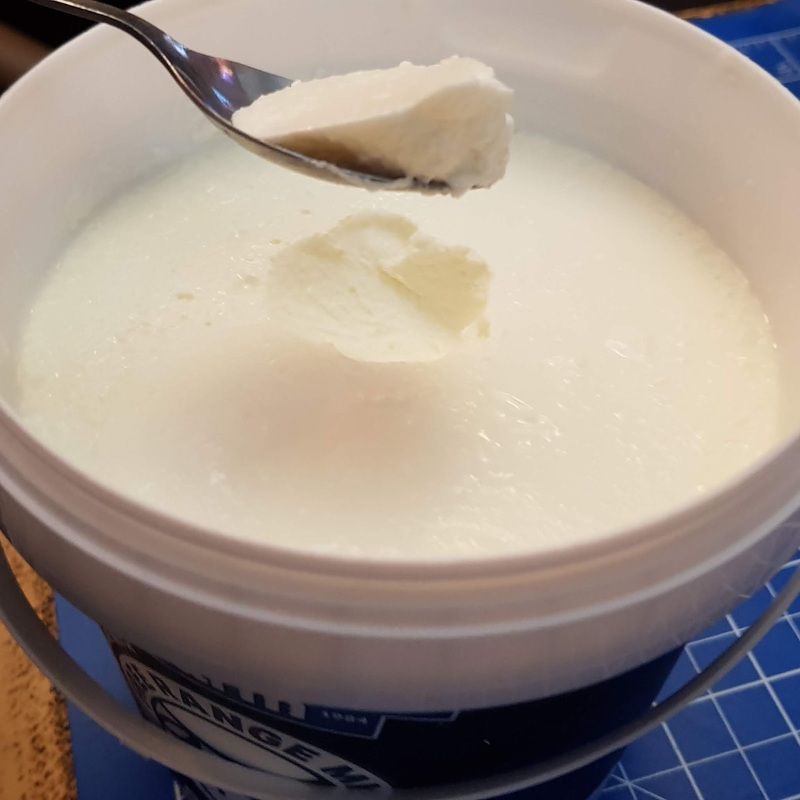 The first thing my boys realised was that plain yogurt is very different to flavoured. 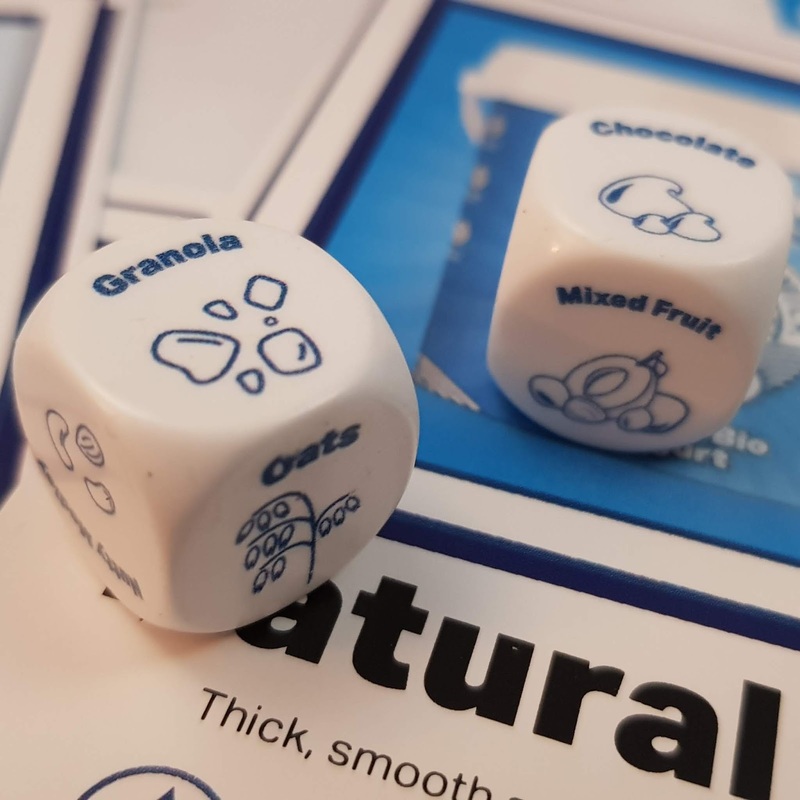 They weren't so keen on the Greek Style, but the Fat Free and Natural Bio were more familiar to them and even my picky 8 year old said he would eat it with cereal. It was the topping we wanted though! 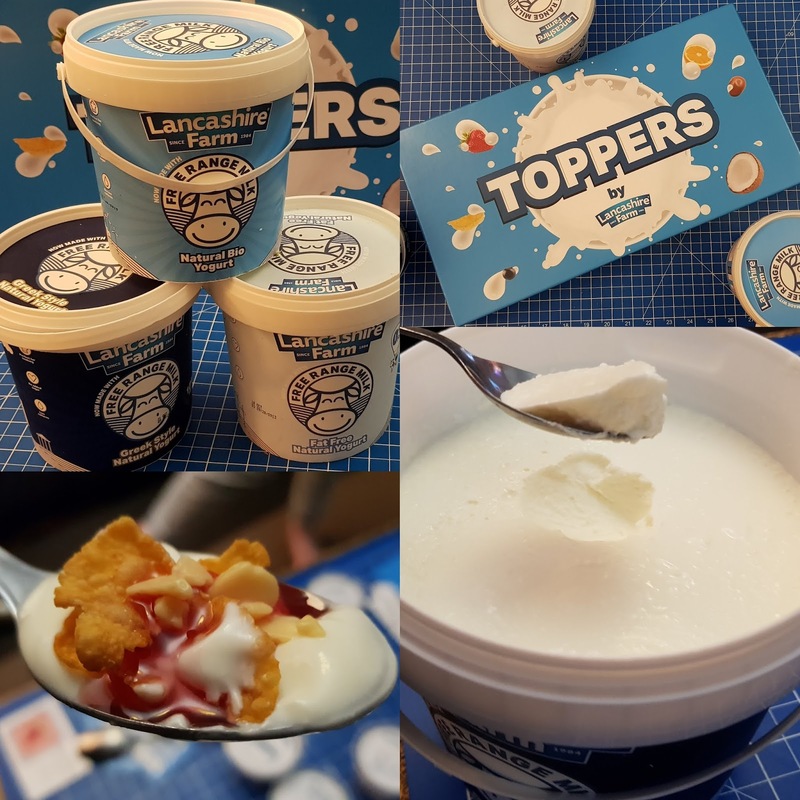 If you'd asked me last week I'd have thought of about 4 toppings for yogurt... Lancashire Farm Dairies thought of considerably more - and had supplied them all in little pots! 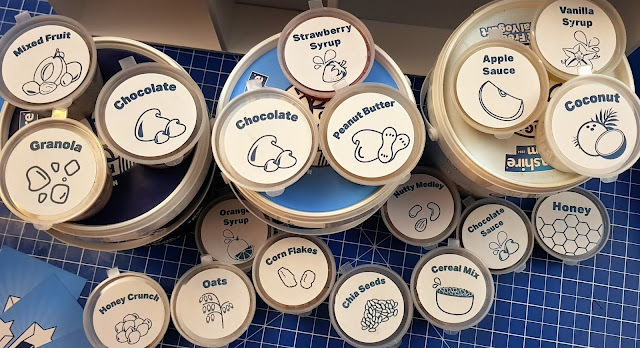 This is the yogurt equivalent of a toy shop! 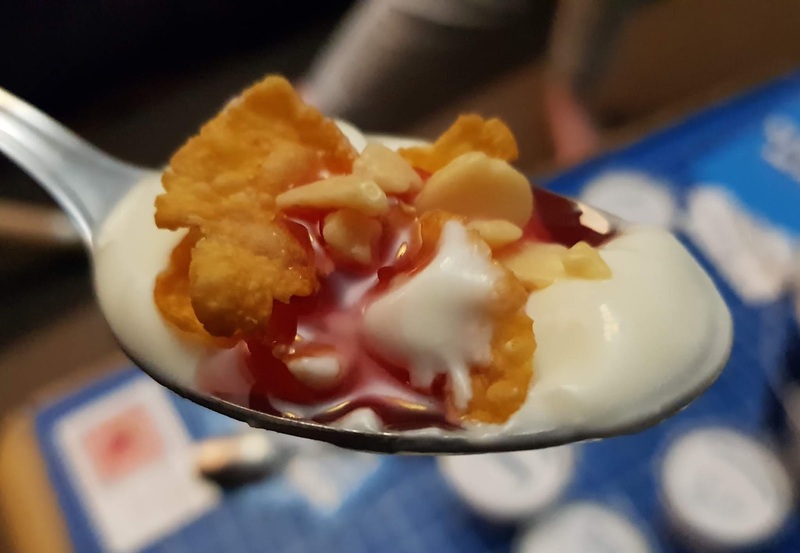 It turns out that Orange Syrup is an excellent flavouring for yogurt and Chia Seeds didn't impress anyone very much. My youngest now wants to have Granola for breakfast, but we still have no takers for coconut. Everyone tried something they wouldn't usually and everyone discovered something that surprised them. 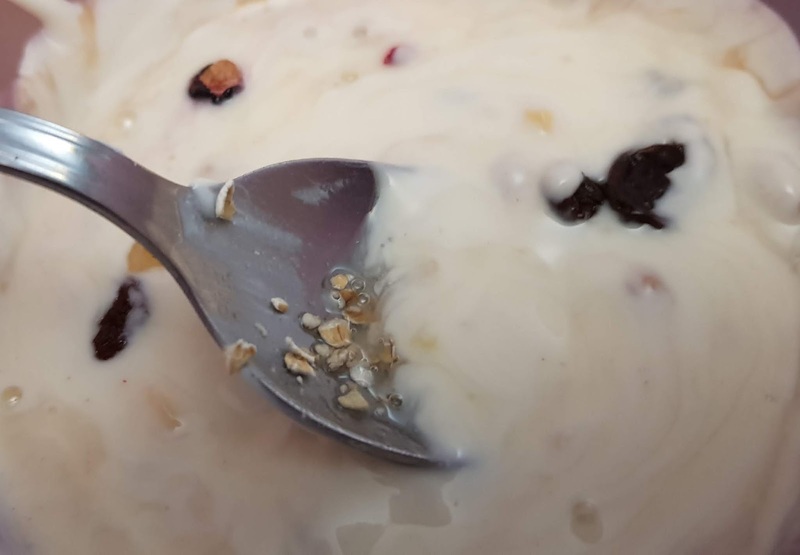 And everyone had a huge bowl of yogurt for dessert! It's a rare day dessert carries on for an hour because it's so popular and everyone wants 3rds and 4ths and then you have the same again the next night. 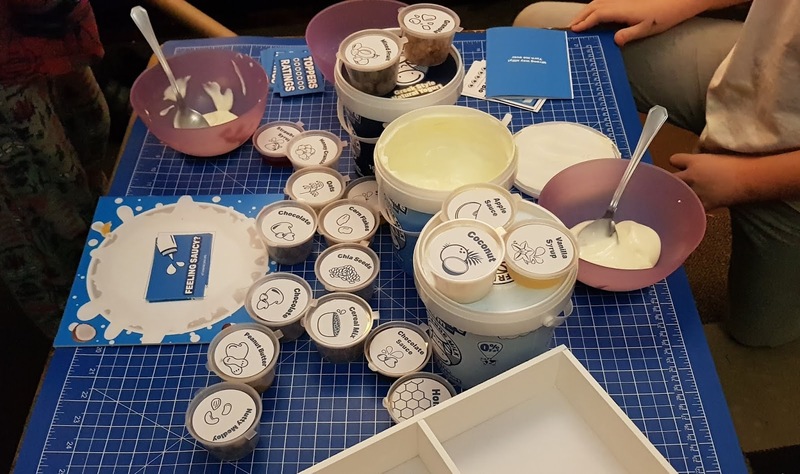 Trying all of these different toppings and flavourings was a brilliant thing to do and has really opened my family's eyes to the huge potential in a pot of yogurt. I like Lancashire Farm Dairies because you can trust that the milk is free-range from well-cared for cows. 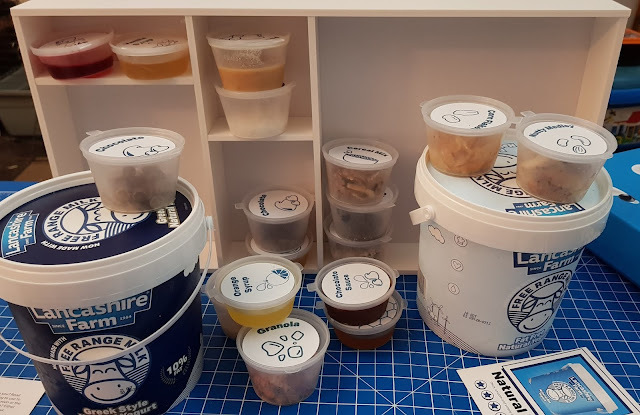 They pay farmers a fair price for their milk and don't spend money on gimmicks and branding, so the price you pay is excellent. 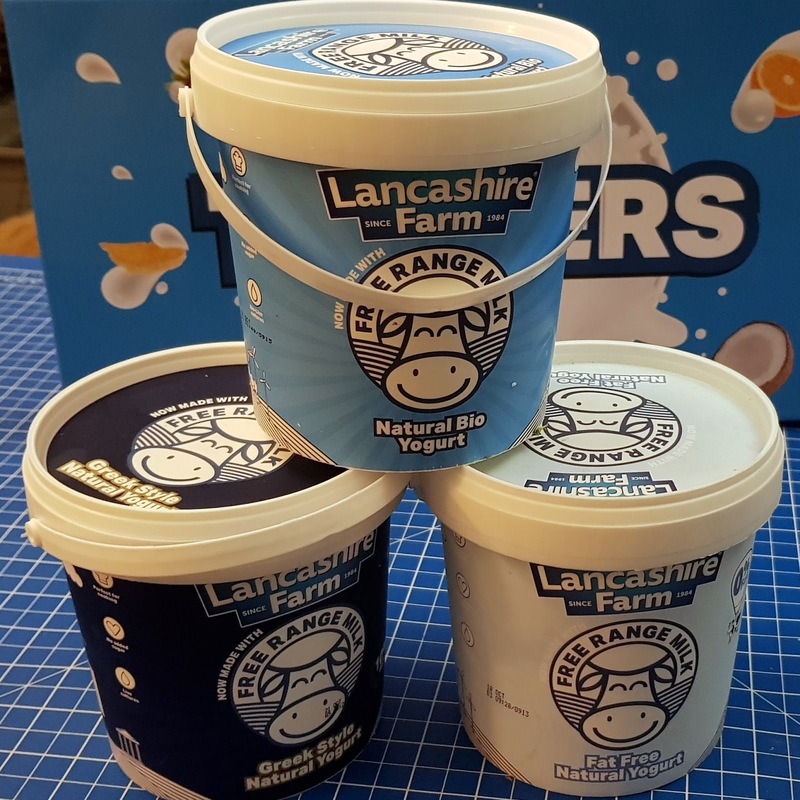 For over 20 years Rochdale-based Lancashire Farm Dairies have specialised in making high quality natural yogurt with locally sourced free range milk. 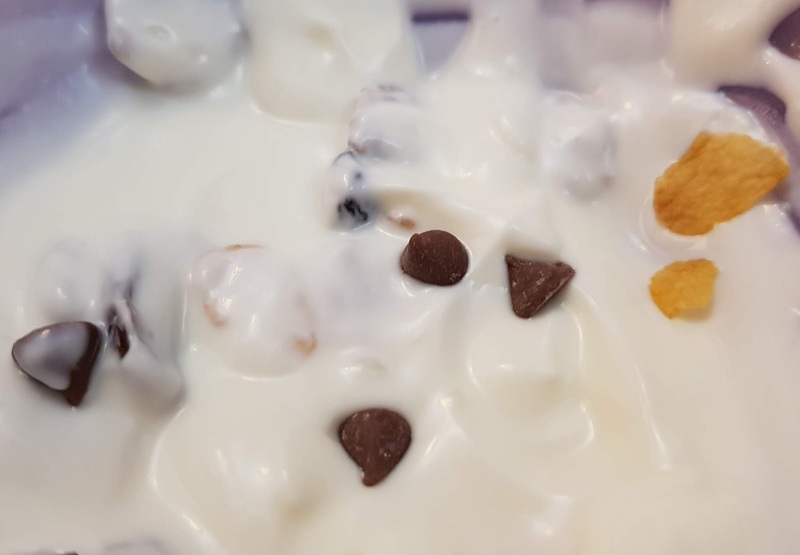 Their Yogurts are available to buy in Tesco, Sainsbury's and Morrisons at the very reasonable price of £1-£2 a pot (shop around, there are offers to be found). We were sent our game and everything required to play it for this post. I wasn't paid, I try to support local companies and care deeply about animal welfare.